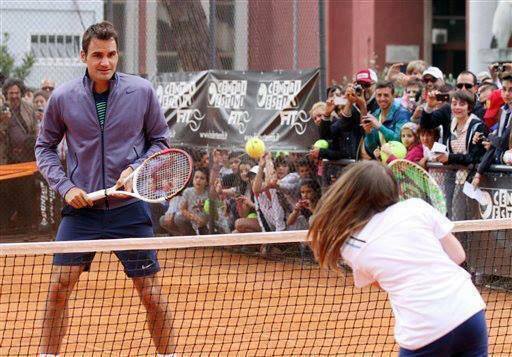 Roger Federer took time between his second and third round matches to participate in the event’s Kids Day with Tennis Italia at the Rome masters. The Swiss maestro played points with kids, gave some instruction, and even hit a few trick shots. Check out the video below. Watch full coverage of the 2013 Rome masters on FF07tv. See Roger Federer’s Nike outfit for the Italian Open here.